Cher's Here We Go Again Tour! You don't need to turn back time in order to see Cher live! The Emmy, Grammy, Academy, and Golden Globe Award-winning living legend and Goddess of Pop is bringing her 'Here We Go Again' tour to stages across the USA in 2019. Don't miss this icon, as she hits the road on her cross-country tour for the first time in five years! 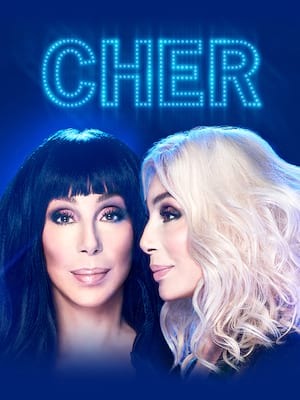 With a new musical about her life, a new album in the works, and the success and rave reviews which followed from her role in the recent film Mamma Mia 2: Here We Go Again, it's no surprise that Cher is hitting the road, giving you the chance to see the imitable diva live. Expect to hear all her biggest hits, alongside songs from her ABBA tribute album, Dancing Queen, which is set to be released later this month. That's right, you'll get to see Cher donning her platinum blonde again - hailing Fernando! Do you hear the drums? Because you could be hearing Cher soon. Sound good to you? Share this page on social media and let your friends know about Cher at Prudential Center. Please note: The term Prudential Center and/or Cher as well as all associated graphics, logos, and/or other trademarks, tradenames or copyrights are the property of the Prudential Center and/or Cher and are used herein for factual descriptive purposes only. We are in no way associated with or authorized by the Prudential Center and/or Cher and neither that entity nor any of its affiliates have licensed or endorsed us to sell tickets, goods and or services in conjunction with their events.